Misdemeanor charges are nothing to overlook. A conviction may not land you in prison, but it can leave a permanent stain on your criminal record resulting in lifelong consequences. For this reason and many others, it is crucial that you waste little time in securing legal help when notified of misdemeanor charges. 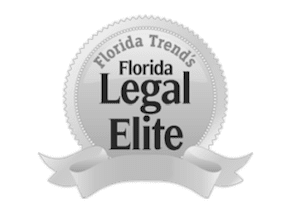 The Orlando misdemeanor defense lawyers at The Umansky Law Firm are seasoned criminal defense lawyers in the Greater Central Florida area. With experience as state and local prosecutors, our team of attorneys has key insight as to how the opposition operates. We can use our knowledge to be proactive in our defense and push to have charges lessened or dropped altogether if possible. No matter the charge, you can benefit from having the legal counsel of a seasoned attorney, as he or she can construct a defense to mitigate charges, effectively lessening penalties. Potential criminal penalties should only be half of your worries. Numerous other consequences of a misdemeanor conviction have a more lasting impact. You can potentially lose your job, lose scholarships, be denied college admission, and lose your driver’s license among many others. If you were ever to face another criminal charge in the future, your misdemeanor conviction could also be brought up in court and further intensify criminal penalties. If you or someone you know is facing misdemeanor charges, don’t hesitate to contact an Orlando misdemeanor defense lawyer with The Umansky Law Firm. Our team of attorneys is waiting to fight for you. Contact us today at 407-228-3838 for a free case evaluation.